I previously complained about the intersection of 17th and Constitution, NW, near the White House. It is super dangerous due to drivers running red lights and making illegal left turns. As much as I dislike them, a red light camera would do wonders here. There is absolutely no traffic enforcement around the White House area (unless you park in the wrong place), and everyone is at risk. Thursday saw the inevitable take place. A driver in a huge, black Suburban nearly killed a woman in a small car by making an illegal left turn. 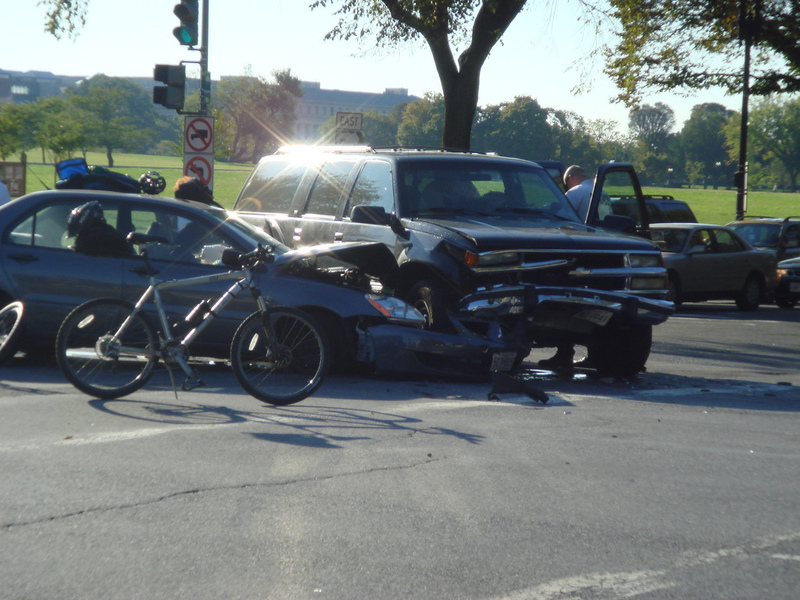 A fellow cyclist, who witnessed the accident, said the driver of the smaller car had the green. Luckily both drivers were concious and talking while waiting for the paramedics. This is one of the busiest intersections in downtown for drivers and cyclists and it’s time for the city to do something to lessen the riks to everyone.